Archaeology is often associated with the study of the distant past; however, in current decades archaeologists have been placing a larger emphasis on studying events in the more recent past (Harrison, Breithoff, 2017). This sect of archaeology is considered to be Contemporary archaeology. Contemporary archaeology allows people to interpret the more recent years of history, and analyze its direct effects on the world today. One example of Contemporary archaeology is the study of contemporary warfare. The archaeological study of warfare throughout all periods of history is very common. However, the relationship between archaeology and warfare is tricky, for their are immense benefits of studying warfare, yet warfare may also be detrimental to archaeological sites. For instance, the destruction of archaeological sites such the Great Mosque of Aleppo caused archaeologists a severe disadvantage. 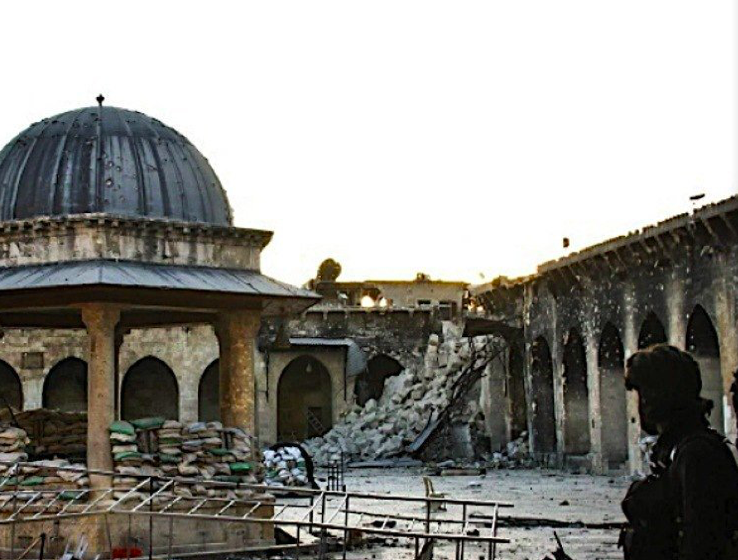 Due to the destruction, archaeologists are able to study little to nothing about the history of the mosque. Despite the major disadvantage warfare can have on archaeology, the social science itself can be considered a weapon in warfare. One example of this “weapon” is when archaeology is used to justify the actions of certain peoples (Pollock, 2017 ). For instance, archaeology has been used to justify the disposition of people from their own lands, such as the conflict in the Silwan area of Jerusalem. 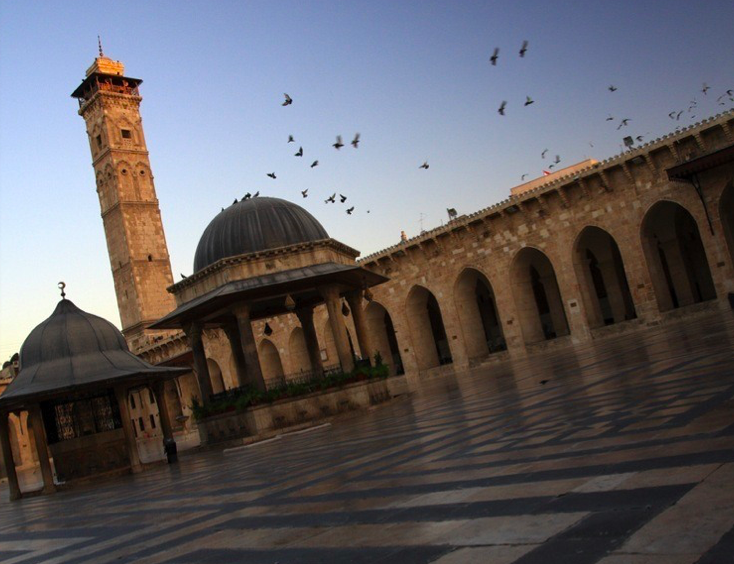 (Flickr, 2010) A picture of Aleppo before destruction. (image source: Fangi, G., & Wahbeh, W. (n.d.). THE DESTROYED MINARET OF THE UMAYYAD MOSQUE OF ALEPPO, THE SURVEY OF THE ORIGINAL STATE. Retrieved from http://eujournal.org/index.php/esj/article/view/2492/2365). Aleppo after destruction. An additional study of archaeology focuses on the engagement of material remains in the past, as well as the present (Pollock, 2017 ). Archaeology examines the themes of the past, and how they contribute to the people of the present. For archaeologists to be fully aware of events in the past, the event must have a situatedness with the people of the present. Thus, when archaeological sites are destroyed due to events such as terrorism, it makes the archaeology of that site irretrievable. Therefore, it is important to study the archaeology of warfare to be able to develop some understanding of the archaeological sites that have been destroyed. For, sometimes the archaeology of the destruction is just as valuable as the archaeology of the actual site. Although warfare is often very deleterious, it can also be very telling. By studying the archaeology of modern warfare, archaeologists are able to uncover answers to questions of today’s society. Therefore, it is very important archaeologists place a large emphasis on analyzing more recents events in history to prepare for a better understanding of today’s turmoil. Harrison, R., & Breithoff, E. (2017). Archaeologies of the Contemporary World. This entry was posted in Fall 2015 by bdesantis. Bookmark the permalink. You tell about how archaeology can be used to study contemporary war, but how is that done? What do archaeologists do to study contemporary phenomenon methodologically? And, how can archaeology of warfare help us stop wars and better understand why tragedies like war happen?